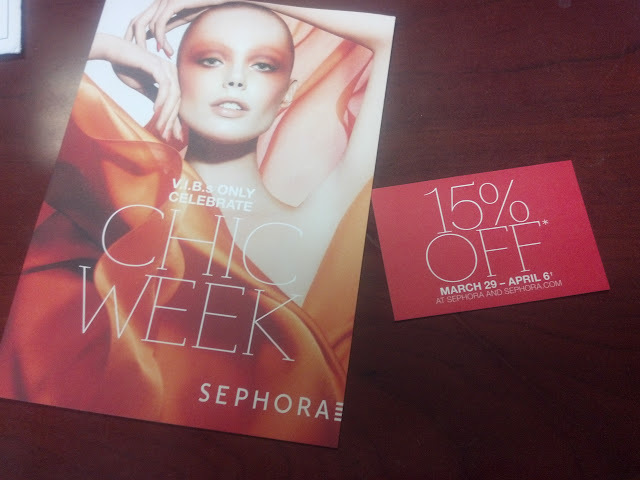 SEPHORA VIB members are invited to an exclusive V.I.B in-store event to celebrate Sephora's Chic Week, 9 days of savings on Thurs, March 29th. Get treated to a limited-edition Sephora umbrella, a gift bag filled with samples, makeup lessons, and more. * Free umbrella and sample gift bag valid only during the in-store event on Thursday, March 29, 2012 or while supplies last, with any merchandise purchase. Must be a V.I.B. to redeem. Not valid on previous purchases, or purchases of eGift certificates or gift cards. This offer is subject to change, alteration, or termination by Sephora in its sole discretion at any time. 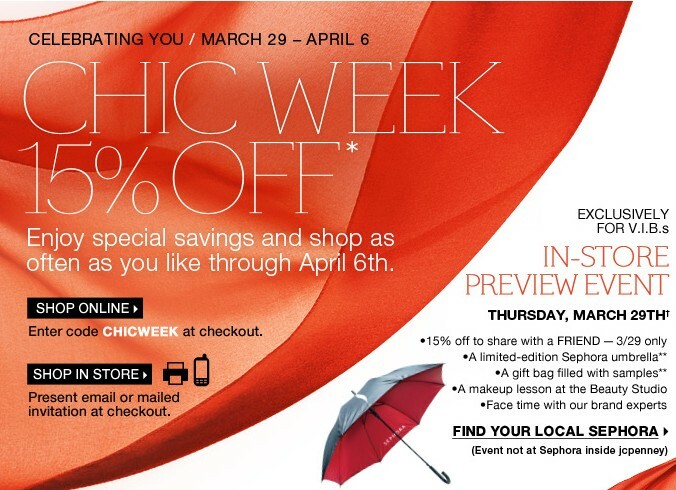 Online Shoppers use code: CHICWEEK at checkout. And the last item on my list is a fragrance but I'm not sure what kind or what scent I'm going to purchase yet so let me know if you have any recommendations. I could use some suggestions. So, what items do you have on your shopping list? I plan on buying a few of the new YSL glosses! Oh, I forgot about those! May have to get some of the YSL glosses too! This is so nice. I like the offer. Appreciate your info.